The faculty and students in this year’s Geography International Field School. Students in this year’s Geography International Field School (GEOG 4100) are departing Halifax today (Nov. 8) for a study trip to The Gambia, returning November 20. Soon after arriving in Banjul, the students will attend a Remembrance Day ceremony for Gambian war veterans in the Fajara War Cemetery. They are bringing Canadian poppies and several wreaths to commemorate at least 10 Canadians who are buried at the cemetery. The buried servicemen were with the Royal Canadian Air Force and died during World War II. They served with the 200 RAF Squadron, which played a significant role in deterring German U-boats in the Western Atlantic Ocean. At least one of them has a Nova Scotia connection: Warrant Officer Basil Ralph Yorke, who died March 11, 1942, was the son of Harry and Gertrude Yorke of Wharton, Cumberland County. The students continue their research into the fallen airmen; they plan to visit a small war museum in the area and speak to Gambian veterans for recollections of the Canadian presence during the war. 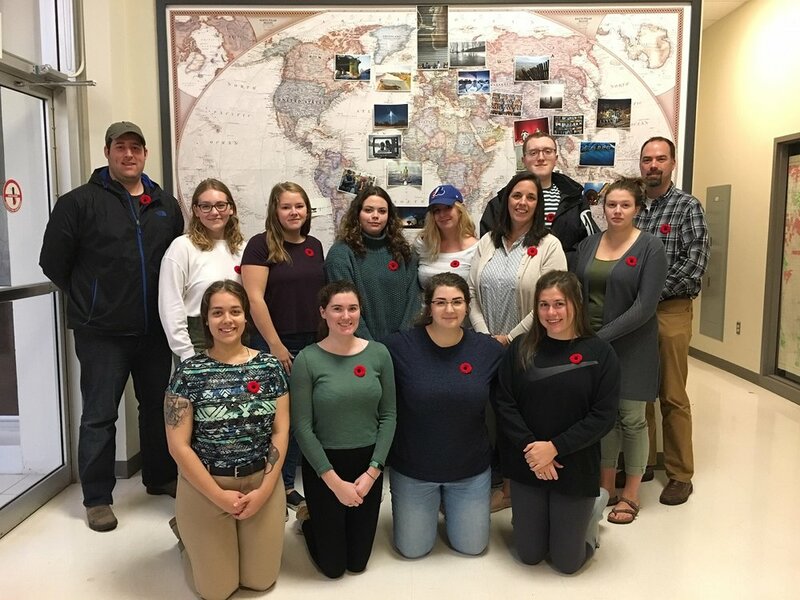 After the Remembrance Day activities, the class will travel to rural areas to visit a number of community-based tourism sites for experiential learning on cultural and historical issues. Saint Mary’s University has a longstanding relationship with The Gambia, which made the news last week as the first stop on a royal tour of West Africa for Prince Charles and Camilla, Duchess of Cornwall. The SMU Geography Field School has been travelling there for eight years.